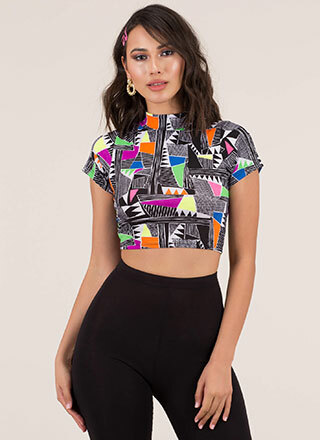 You deserve a blouse with all the trimmings! 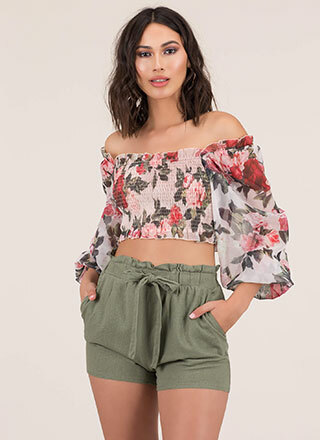 Stretchy, lightweight, two-piece blouse features a solid interior tank top and a gauzy floral lace overlay with puffy long sleeves, smocked and ruffled trim along the wrists and bottom hem, crochet panels in a striped design, and fabric flower appliques throughout. Top is finished with a buttoned rear keyhole. Pattern placement may vary.